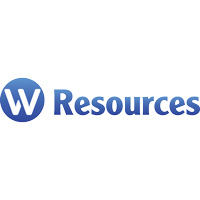 W Resources PLC (LON:WRES) Chairman Michael Masterman caught up with DirectorsTalk for an exclusive interview to discuss the high grade intersections at Régua, the next steps and what investors should look out for in the months ahead. Q1: Michael, we saw your announcement regarding some high grade intersections that you’re drilling in Régua, can you talk us through the key points? A1: We’ve just completed a fairly extensive infill drilling at Régua ahead of mining later this year. The results are exceptionally good, very thick intersections with very high grades of tungsten and importantly, very close to where we’re planning to start the portals for the underground mining later this year. So, what that means is we’ve got much thicker intersections and those thicker intersections which are at high grade are close to where we start mining. That means we should be able to deliver very good grades to the plant. Q2: What are the next steps for W Resources at Régua? A2: So, we’ve just completed this drilling programme, we’ll take that drill hole data and add to it our existing geological model and update the resource estimates. We’ll then run the mine plan optimisations to get a more specific mine schedule with reserves and JORC grade and tonnage estimates. In parallel, this will be Q3, we’ll progress the contracts for the first leap of contract mining which will be using jumbos and secondly, for the transport and crushing of the ore at a nearby crusher. So, all that requires very limited capital but allows us to very significantly progress and add a lot of value to the Régua deposit. 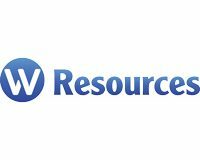 Q3: Is there anything else investors should be looking out for in terms of news flow over the coming months for W Resources’ other projects? A3: Well, there’s lots of activity at La Parrilla and we’ll progressively update the markets through April on progress in completing the jig, progress in increasing production so lots of activity at La Parrilla. Through the June quarter, we’ll also be able to release an update of resources for our gold recovery in Central Portugal, São Martinho.